Elder abuse is a problem that occurs in most socio-economic groups in Western countries around the world. One man with very personal experience in this area is Philip Marshall, grandson of the late New York City philanthropist Brooke Astor. In 2006, Marshall took legal action against his father, Anthony Marshall, accusing him, among other things, of illegally scheming to take control of Astor’s $100 million fortune. At the time, she suffered from the effects of Alzheimer’s disease. When Brooke Astor’s third husband, Victor Astor, died in 1959, he left her millions of dollars. Brooke Astor was one of the wealthiest women in the world, a well-known socialite and author, full of charm and wit; she also had one son, Anthony D. Marshall. Marshall grew up with an absent mother – Astor herself admitted to being a less than adequate parent – and he had a moderately successful political career before taking over his mother’s finances in the early 1980s. He was paid a salary and became more involved with some of Brooke Astor’s charitable activities. Initially, Anthony made $450,000 and charged his expenses to his mother, but he managed to garner more money over time. He gave himself a raise in 2005 that elevated his yearly income to $2.5 million. Anthony Marshall helped himself to whatever he wanted from his mother’s house, according to the charges against him, and he managed to make it look like his mother was okay with it. He convinced his mother to let him sell off several of her paintings by telling her that she needed the money. One work of art, Childe Hassam’s Flags, Fifth Avenue, was worth $30 to $40 million, but he sold it for just $10 million, keeping the $2 million commission for himself. In 2006, Brooke Astor’s grandson, Philip Marshall, had his father removed as guardian of his grandmother. Anthony Marshall settled the suit and agreed to pay back much of what he had taken from his mother, including jewelry and books. The matter was supposed to be closed, but when Astor’s lawyer looked at the papers, she noticed that there were three addendums to her client’s will – one with a signature that didn’t look like Astor’s handwriting. She contacted the district attorney who began to investigate Marshall for forgery. Anthony Marshall was later convicted on grand larceny and other counts. After his conviction, Anthony Marshall spent only eight weeks in prison and was released early due to failing health. Marshall received parole in 2013 and died in 2014. When he died, his will revealed that he had completely excluded his sons Philip and Alex Marshall from any inheritance. He left all of his money, estimated to be about $14.5 million, to his wife Charlene Tyler and her children. 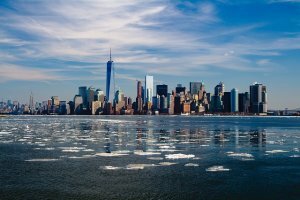 According to a U.S. Securities and Exchange Commission report released in June, studies have found that 2.7 percent to 6.6 percent of the elder population are victims of such exploitation each year. The report adds that these studies likely underestimate the true extent of the problem. They don’t seem to have enough money for necessities. They have a new ‘friend’. If you have access to their bank statements and you can see things like large withdrawals from their account or unusual ATM activity. 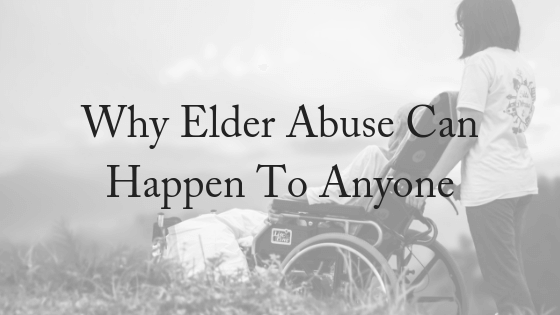 If you suspect elder abuse is happening, seek legal advice immediately. The sooner you seek help the easier it is to remedy the situation. Once assets are sold or spent, it is unlikely that they can be restored. If you suspect that a loved one is experiencing financial abuse, please contact us for a free, 10-minute phone consultation.